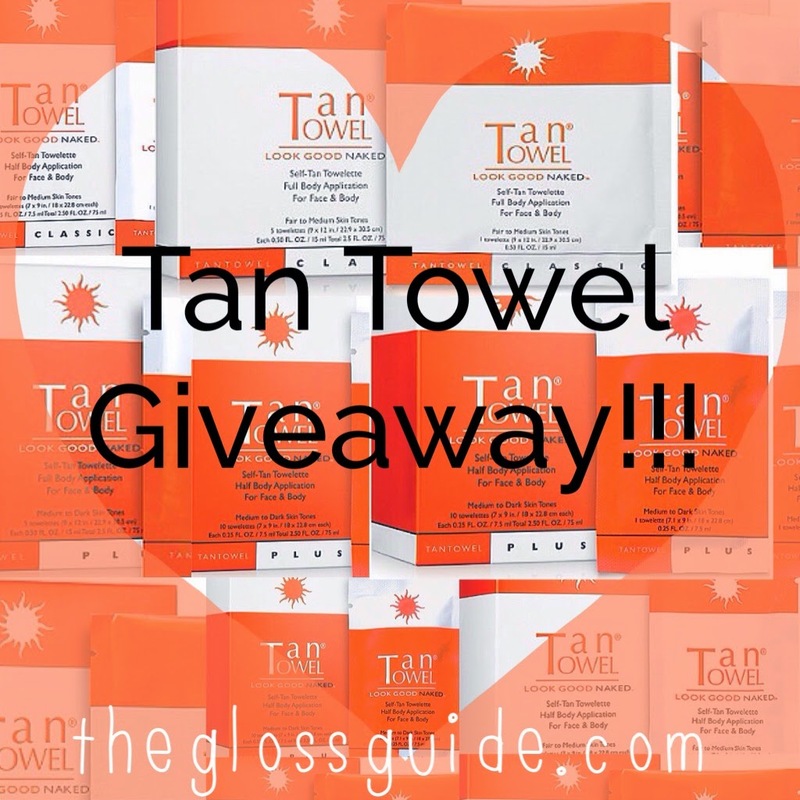 THE GLOSS GUIDE: TAN TOWEL GIVEAWAY!!! I'm thrilled to be teaming up with Tan Towel for this awesome giveaway!! I have used and loved these products for 8+ years. I know if you haven't tried them yet - you will be addicted like I am!! 4 lucky reader's will be winning 2 boxes each!! 1 Full Body and 1 Half Body. Be sure to tag me as well! That's it! Super easy! All contestant's names will be entered into a spreadsheet, given a number, and those numbers will be entered into a number generator. Winners will be posted HERE on the blog, as well as to my Instagram account one week from today on Tuesday July 15, 2014.